The distinction that in areas where helminthic infections are common, autoimmune diseases are less prevalent, led to the investigation of immune modulatory properties of helminths and their derivatives. Such are phosphorylcholine (PC) moieties which are a component of secreted products of helminths. PC has been broadly studied for its attenuating effects on the human immune system. In an attempt to develop a novel therapeutic small molecule for the treatment of autoimmune conditions, we have conjugated PC with tuftsin, a natural immunomodulatory tetrapeptide, to create TPC. Herein, we review our findings regarding the effects of TPC in murine models of three autoimmune diseases—systemic lupus erythematosus (SLE), inflammatory bowel disease (IBD), and rheumatic arthritis (RA), as well as ex-vivo samples from giant cell arteritis (GCA) patients. 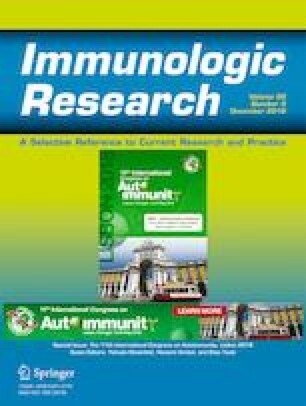 In all four disease models examined, TPC was shown to attenuate the inflammatory response by reducing expression of pro-inflammatory cytokines and altering the phenotype of T cell expression. In murine models, TPC has further produced a significant improvement in clinical disease scores with no significant side effects noted. Our findings suggest TPC presents promising potential as a novel therapeutic agent for the effective treatment of various autoimmune conditions.